Blogroll links are one of the most powerful for SEO today. We have a permanent . Site is regulary updated with QUALITY content and your link will be DOFOLLOW link High authority & aged domain ?Do follow ?LOW OBL Your site will appear on the front page of the actual domain which is aged. one way SITEWIDE blogroll. Please have a look at other gigs for more high DA permanent links. 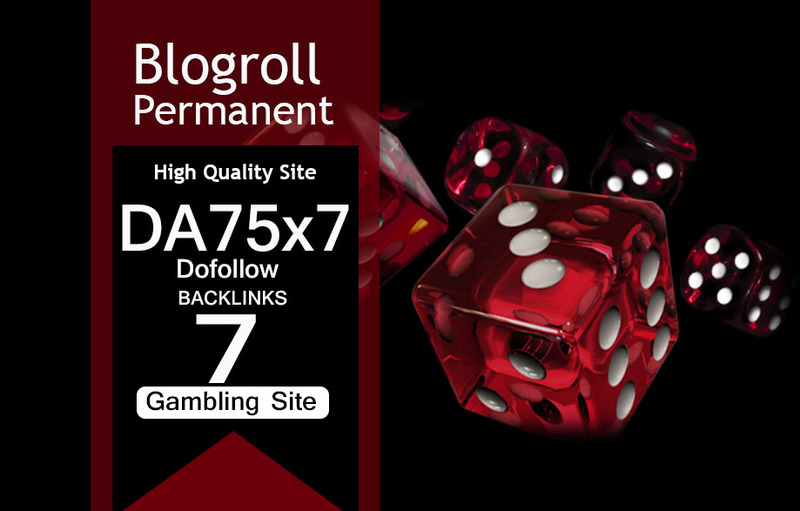 Give Link Da75x7 GAMBLING Site Blogroll Permanent is ranked 5 out of 5. Based on 4 user reviews.